Courtesy of JMD REALTY SERVICES, INC.
Beautiful historical Mediterranean style home in Downtown Mount Dora. The L.R. Heim house a real historical treasure. This home has been a running bed and breakfast for 23 + years and could be a perfect family home as well. Recently updated a new tile roof, awnings, bedrooms, bathrooms and much more. 3 blocks from city center and to all festivals and events. Main house offers 1 master bedroom on first level, 4 bedrooms with private baths on 2nd level and 1 attic bedroom with private bath on the 3rd level. The large basement is used for laundry and storage. 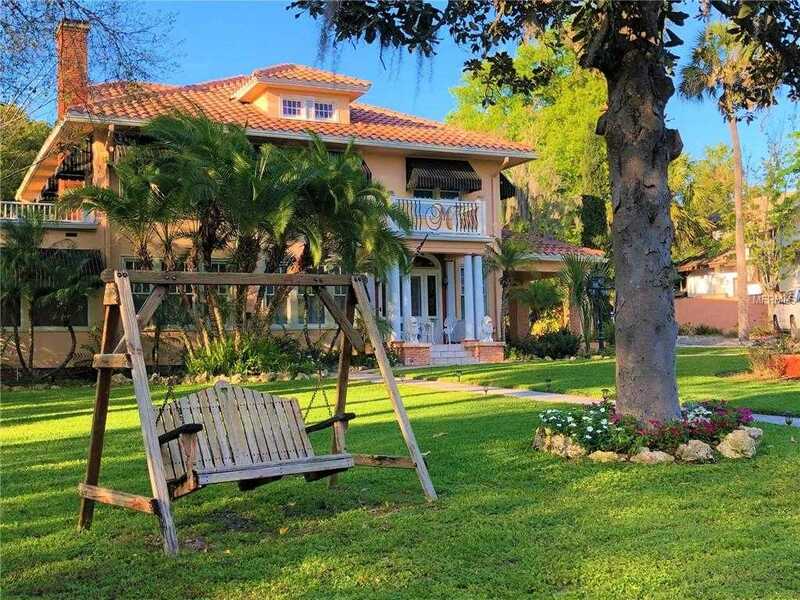 13; The back of the property has a large octagon room for relaxation, a storage shed, as well as a fully equipped apartment for in-laws etc… 13; This large property has matured landscaping with fountains and hand painted walls, a large patio for outdoor entertainment and much more. A definite must see! Please, send me more information on this property: MLS# O5728191 – $1,195,000 – 347 E 3rd Ave, Mount Dora, FL 32757. I would like to schedule a private showing for this property: MLS# O5728191 – $1,195,000 – 347 E 3rd Ave, Mount Dora, FL 32757.